Nobody likes a bully. And yet bullying permeates our society. It's everywhere—from playgrounds to cable channels to online comments posted anonymously. Among the young it appears in crude and childish ways; among adults, it sometimes takes the more sophisticated form we call "judgmentalism." Judgmentalism is the casual willingness to condemn, ridicule, and deride others. Despite differences in style between bullies and the judgmental, it's all the same behavior. And it's everywhere. In its Christian forms, judgmentalism invokes the transcendent as an ally by portraying God as a condemning judge. It usurps for its own purposes the symbolic and cultural capital of Christian religious tradition. That misappropriation, unopposed, will obliterate a major human heritage: the Christian understanding that authentic moral judgment is rooted in conscience as a creative process. "Morality" is not a set of rules to obey. Morality is an art. Arts cannot be reduced to rules and absolutes that can be weaponized to attack others. In order to confront and oppose religious judgmentalism, we must first understand the core dynamics of bullying. That core dynamic turned out to be far more complex than I realized at first. Here's the issue: bullying in effect attempts to create a community—a set of social bonds—based on hostility and exclusion. This community sustains its status as the Insiders or the Acceptable Ones through the ridicule, derision, exclusion, and condemnation of individuals identified as the Outcast or the Unacceptable. That community-building function accounts for why bullied children are such incessant targets for their classmates. The peer group coalesced around the most outspoken bullies depends upon these targets for its own unity and self-affirmation. We know we are cool because we are Not Like Her. That community-building dynamic is visible in the history of word "bully." The English word is derived from a Dutch word meaning "sweetheart" or "lover," probably from a Middle Dutch word for "brother." Originally (in the 1500s) it meant "a fine fellow." But over the course of the 1600s, the word began to be used sarcastically. As a result, its meaning gradually shifted to what we mean by "bully." Bullies use derision of others as a way to claim their own value, their cherished place in a given social cohort, and the valuable exclusivity of the cohort itself. We are "brothers." And you, buddy, are not one of us. We don't want you on our team. Judgmentalism is this ordinary schoolyard bullying directed against groups rather than individuals. Its targets can be distant and even unknown on a personal basis, although of course individual members of a targeted group might be attacked if opportunity presents itself. Judgmentalism serves the same social purposes that bullying serves: it affirms the value or status of the judgmental person, and it seeks to create or to sustain a group by creating outcasts. Judgmentalism creates and repeatedly reaffirms the vital division between Us and Them, between the acceptable in-group and the unacceptable out-group. Sophisticated Christian moral judgment, on the other hand, seeks to create or to sustain a group through hospitality, not hostility. ("Hospitality" and "hostility" share a common linguistic stem, a word meaning "stranger." Outsiders—those who are unfamiliar in some regard—can be welcomed as guests or rejected as threats.) Hospitality is inclusive, not exclusive. Its core behaviors are not ridicule, derision, and condemnation, but rather empathy (I care how you feel), respect (I value who you are), and deference (you have perspectives or gifts from which I can learn). The hospitable welcome diversity as a source of strength and skill. In folklore, for instance, the stranger commonly has some strange but vitally important gift to offer. The hostile see differences as threats. In short, hospitality and hostility are two different systems of social organization. They are two different politics. Hostile groups divide the world between Us and Them, who are to be attacked and excluded. Hospitable groups recognize that we are all in this together, and so we must devise ways to collaborate. Hospitable groups rely upon rules for collaboration, which are, first, the principles of hospitality and, second, the principles of classic, evidence-based analysis and persuasion. Hostile groups, on the other hand, try to win their way by belittling and berating others rather than by arguing the issues in accord with public standards of intellectual validity and globally-recognized moral norms. Hospitality, especially the radical hospitality proclaimed by Jesus of Nazareth, is part of the moral heritage at risk. Lewis Hyde discusses that folklore in his famous little book, The Gift. I think we all recognize the social power exerted by bullies. We all react to derision, whether it's directed at us or whether we are merely bystanders. We feel the power of the implicit politics set into action by the bully. The power of the bully is the power of shame, one of the most potent social emotions that we experience. The bullies and the judgmental both seek to shame. They seek to exclude people by shaming them, which is to say declaring that this person or these people are in some key regard inadequate, unworthy, not "enough" of something or other. When it's done shrewdly, when it's done skillfully and by those with highly polished PR skills and high-wattage media outlets, it's both powerfully persuasive for many people. People go along rather than risk becoming the target of such vitriolic attack. Religionized shaming is a fascinating, complicated issue in America because we think we are not a shame-based culture at all. Shame (or "face" and the loss of "face") is an issue in China, we think, or in the Middle East, but not here! Certainly not! Ah, but it is an issue—and in culturally quite specific terms. Shame is an even more powerful issue among us because we don't commonly recognize what these terms are. Bullying and judgmentalism succeed—they are politically powerful strategies in our society—because we lack a clear understanding of moral judgment. I'm not saying we don't have good moral judgment. I think most of us do. I'm saying we don't have a clear understanding of what our good moral judgment entails, or how it works, or why it's reliable, and above all what its appropriate limits are. As a result, we live with a certain level of moral uncertainty. In the absence of this clear understanding of moral judgment, people committed to fact-based analysis sometimes fail to use the language of moral judgment in politically effective ways. Progressives are apt to show up with tables and graphs and complicated analyses; the hard Right, meanwhile, thunders about right and wrong, claiming the moral high ground. It is as if facts and morality have no relationship to one another at all. This situation, familiar to all of us, attests painfully to the destruction of a major cultural heritage. I want to reclaim that heritage, or to begin the reclaiming, by sketching its outline in plain, accessible terms. Religious judgmentalism obscures an ancient moral heritage of hard-won wisdom about what's required of us if we are to live together in peace as a human community. From the time of Homer's epic account of the Trojan War, after all, it has been recognized that honest critical analysis and debate is the great alternative to bloodshed and battle. But Christian fundamentalist judgmentalism obscures these ancient methods and frameworks for morally-sensitive, nuanced, collaborative critical thinking and problem solving. Reclaiming that wisdom is the best way (and perhaps the only way) to discredit judgmental religionized bullying within Christian tradition. Other Christians must stand up and speak up. Christian humanists and humanists in other traditions need to affirm the humane values and intellectual commitments that we share despite important differences in our religious and philosophical allegiances. In chapter 2 I'll tell a story—a whole series of stories, in fact—about moments in my own life when I came face to face with my own uncertainties about moral judgment. I could see things happening in the world around me that I felt were wrong. People sometimes died as the result of what somebody saw as morally justified behavior. These experiences motivated the reading and the questioning behind the argument I'll share later on: how does anybody know what's right and what's wrong? In chapter 3, I'll sketch my understanding of how shame, bullying, and moral uncertainty function in American culture. In our diverse, often anonymous, sharply competitive society, we face a continual cultural pressure to "prove ourselves," to "measure up," to "compete successfully." That's a setup for feeling chronically inadequate, because it's never clear to whom exactly we are trying to prove ourselves. The necessary proof never arrives in our psycho-social inbox, suitable for framing. In its absence, we struggle with shame. In an American context, it's acutely shameful to struggle with shame at all. We are not supposed to have self-doubts. We are all supposed to be rugged individualists, fully self-realized and confidently self-affirming (plus cool, successful, and of course buff—don't forget buff). Our shame and denial around the very fact of shame helps to explain why religionized shaming is a culturally powerful political tool. In chapter 4, I'll stop and tell a story that tries to create a bridge between Christian theological concepts and what all of us already know about our own struggles with self-doubt or self-criticism. Here's the story: I was a stubborn kid. I was mediocre academically and yet taunted endlessly for being a "brain." All of that made me more stubborn and more resistant to everyone around me, kids and adults alike, who disapproved of me so unanimously. And one day I realized something: I also disagreed with the teaching that all of us are "sinners." That's not how God saw me. 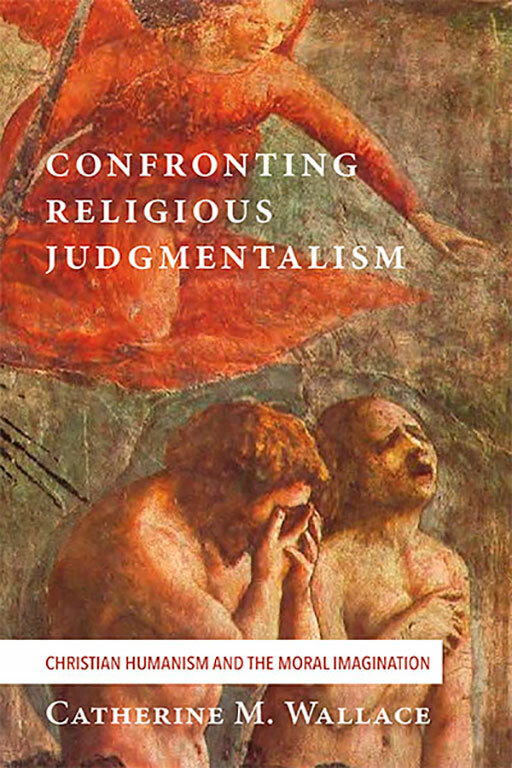 In chapter 5, take a sharp look at religionized judgmentalism in the Christian tradition. Christianity as many people have encountered it seems to insist that we ought to be ashamed of ourselves. In God's eyes, supposedly, we are all personally inadequate. We are all moral failures. That sweeping condemnation goes back, supposedly, to the "original sin" of Adam and Eve in the Garden of Eden. And so, in chapter 4 I'll offer a very different interpretation of that story, an interpretation based on Robin Stockitt's biblical scholarship in Restoring the Shamed: Toward a Theology of Shame (2012). From this interpretation I'll offer a major conclusion: Christianity properly understood offers a potent antidote to abusive religionized shaming. This antidote is radical hospitality. Radical hospitality is the genuine heritage of the historical Jesus of Nazareth. Whether or not Jesus was divine—a question I'll defer to The Confrontational Wit of Jesus [forthcoming], chapter 5—he had dramatic things to say about inclusive community. And he reserved his sharpest criticism for those who used religious tradition to condemn and exclude others. In chapter 6, I ask an obvious question. If Christianity is what I say Christianity is, then where did this religious judgmentalism come from? There's quite a backstory here. Religious judgmentalism in its contemporary form arose as a by-product of the radical religious literalism which appeared in the 1870s and 1880s. This literalism explicitly rejected scholarship both in the sciences and in the humanities. It was sweepingly, explicitly anti-intellectual. But more centrally, and far more dangerously, Christian judgmentalism arose as an aspect of Christian theocracy in the West: over centuries, theocracy had come to portray God as a violent, vindictive judge. A violent, vindictive God is of course politically useful: he provides cosmic cover for political violence. But by the same measure, such theology is itself dangerous. It contributed in no small measure to Europe's devastating Wars of Religion (1524–1660), discussed in detail in Confronting Religious Absolutism [forthcoming], chapter 4. In chapter 7 I'll explain how this heritage generates a problem that we still have trouble solving. We have trouble even seeing it clearly. Here's the problem: Can we have good moral judgment without being judgmental? Can we have a coherent morality without becoming moralistic? It seems to me that the moral nihilism of the hard Left is just as incoherent as the judgmentalism moralism of the right Right. On the hard Left, "tolerance" is the greatest good. Should we then tolerate the intolerant? If not, are we contradicting ourselves? If morality is all "personal opinion," then the religiously judgmental have a right to their opinions, don't they? Who are we to complain about how broadly they condemn gay people, single mothers, immigrants, the unemployed or unemployable, people surviving on Social Security benefits, and even graduate students who need insurance coverage for contraceptives? How can we oppose their vilification of climate scientists, biologists, religious minorities, and advocates for the underpaid and unemployed? Progressives and moderate need to reclaim the language of moral judgment, the language of right and wrong, but without giving in to an equal and opposite judgmentalism. Is that possible? Can we talk about morality without being moralistic? Can we debate issues of difficult moral judgment (like climate policy) without being judgmental? What's the role or fact or data in such discussions? In chapters 8 and 9, I offer an exceedingly brief survey of European intellectual efforts, in the wake of the great religious wars, to answer such questions. Enlightenment thinkers sought an objective, intellectually rigorous basis for moral judgment. These efforts have been called "the great Enlightenment project." It failed. We should be glad it failed. If it had succeeded in its own rigorously intellectual terms, then we would have landed in the philosophical equivalent of theocracy: totalitarianism. In the twentieth century, secular totalitarianism proved even more deadly than theocracy. But philosophers in the 1700s had some brilliant insights nonetheless. You will undoubtedly recognize some of these ideas even if you've never read a single word of eighteenth century philosophy. In chapter 10, I acknowledge that my position is rooted in a biblical assumption: human nature is inherently prosocial. We are inherently good and we are inherently attracted to the good available to us within whatever choices we face in life. But these are not narrowly doctrinal or dogmatic claims. They are widely shared among other religions. There's also excellent scientific evidence that we are innately prosocial. As starting points go, mine is conceptually as inclusive as any starting-point can be without backing into unworkable philosophical absolutes. I do my best here to pull together valuable insights gleaned from philosophy and from our own common sense. In chapter 11, I admit that my position is also "heretical" in the eyes of Christians who define God as the Cosmic Condemning Judge, not the cosmic source of all compassion and kindness. I offer a bit of backstory explaining certain "security liabilities" in Christian theological tradition, liabilities into which the Religious Right has "hacked" for political purposes. In chapter 13, I conclude with a reconsideration of my flame-out with my teenage son, the story I begin with in chapter 2. Like all good sons everywhere, that kid knew his mother's hot buttons . . .